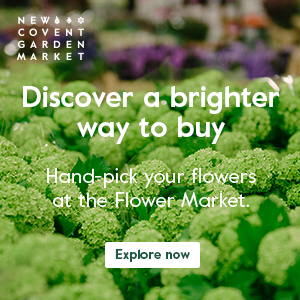 HUGE congratulations to the nationwide co-operative of artisan cut flower growers, Flowers from the Farm! 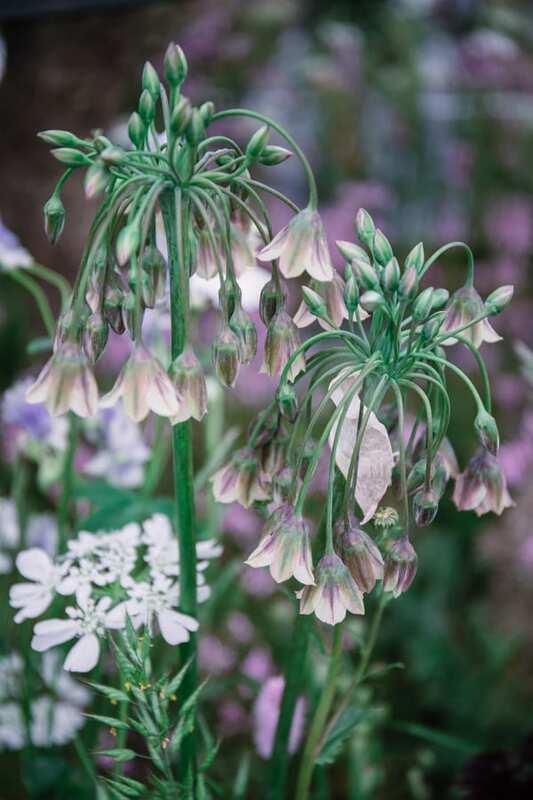 On their debut appearance at the RHS Chelsea Flower Show, they won a gold medal for their ‘Going to Market’ exhibit! 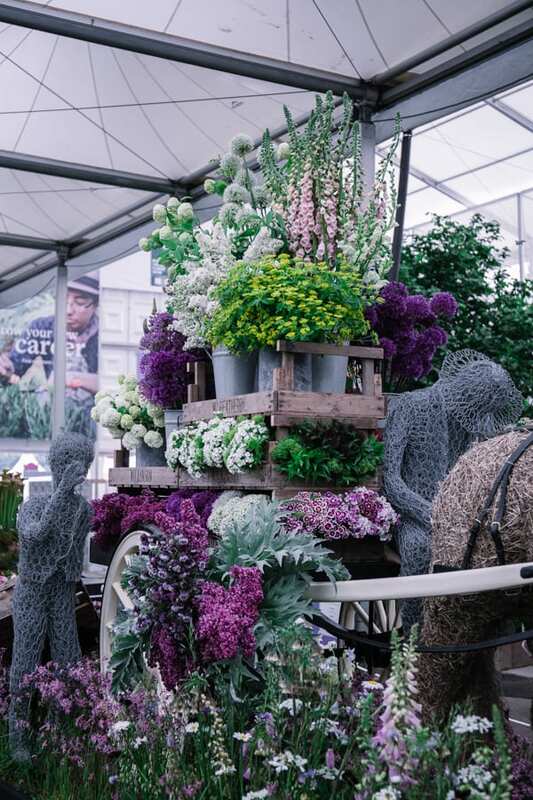 What’s more is that their founder Gill Hodgson from Fieldhouse Flowers met The Queen yesterday! 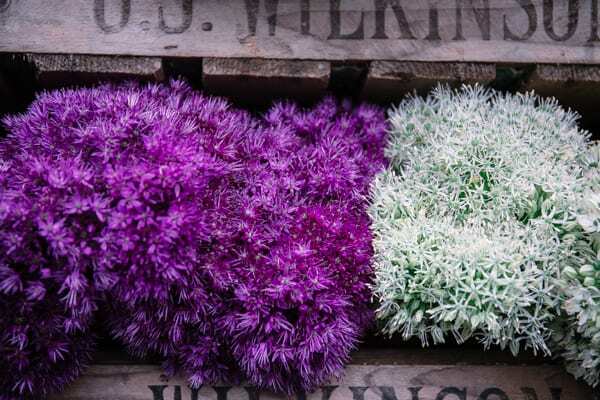 And the excitement continues as Flowers from the Farm will be appearing on BBC1 Television tomorrow evening! 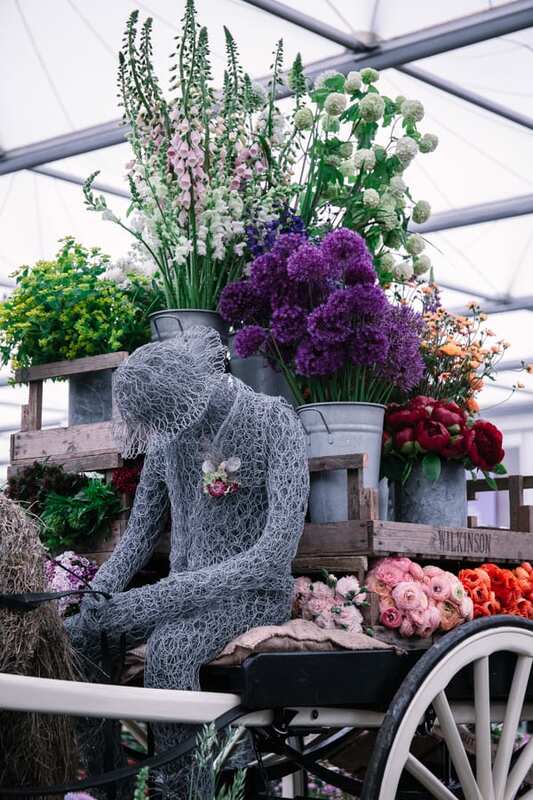 94 growers from the length and breadth of the UK provided an estimated 14,000 stems for the exhibit. 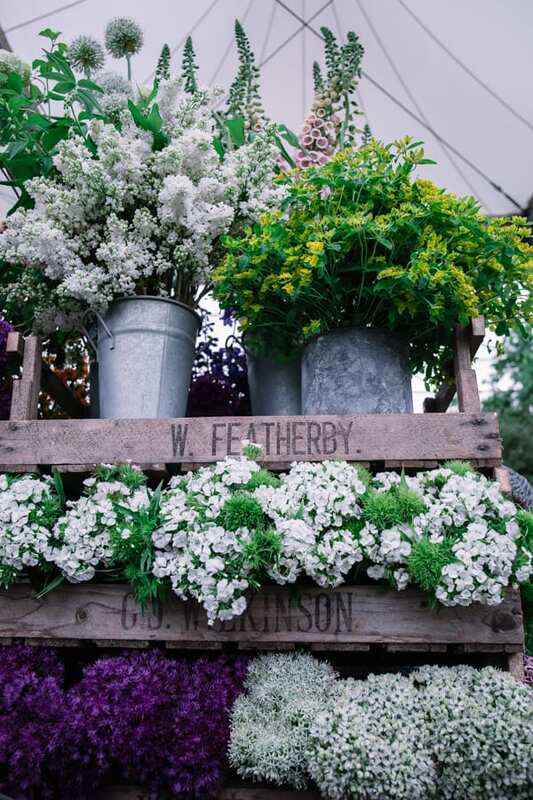 The great flower migration took place on Saturday when members from Inverness to the Scillies finished picking their flowers and loaded them into cars and ferries. These deliveries converged at 12 hubs dotted across the country. Larger vans then took the buckets further on their journey, eventually arriving in London late in the day. 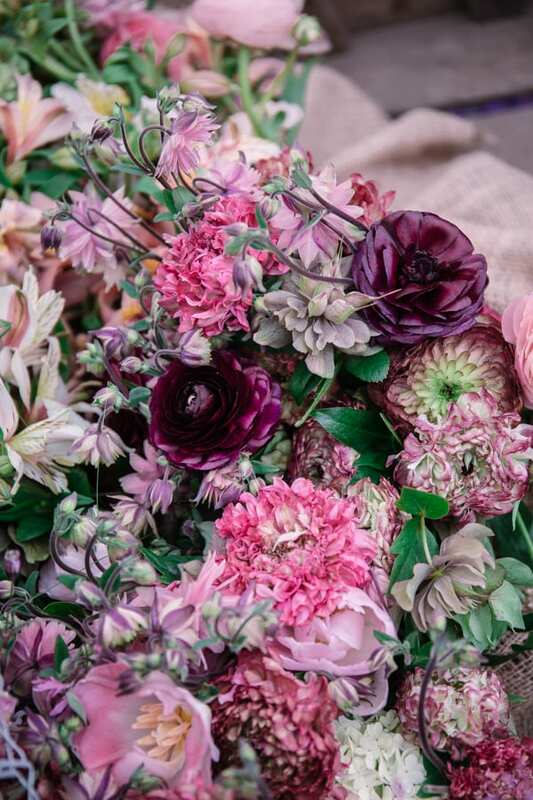 The talented team of volunteer members below prepared the elements for the design in florist Simon Lycett‘s studio in London. 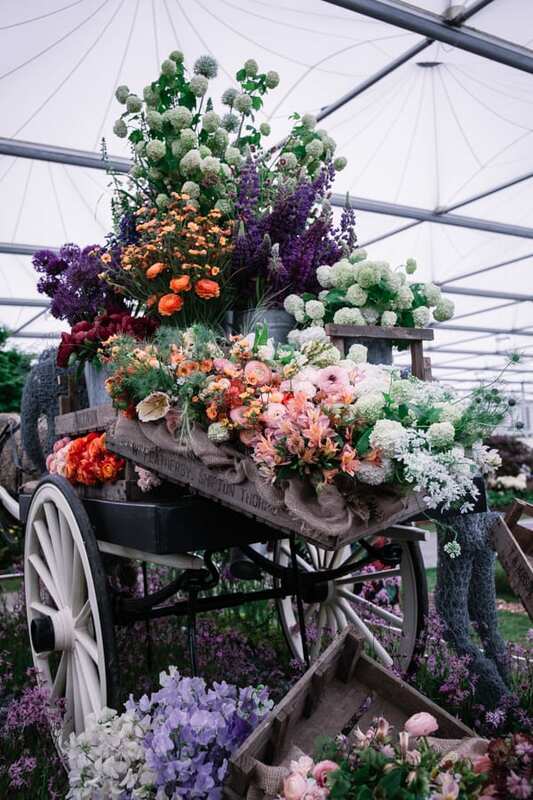 And it was then installed in the Great Pavilion, ready for Press Day yesterday, using an eclectic array of ingenious water receptacles, from test tubes to tin cans, thereby avoiding the use of floral foam. 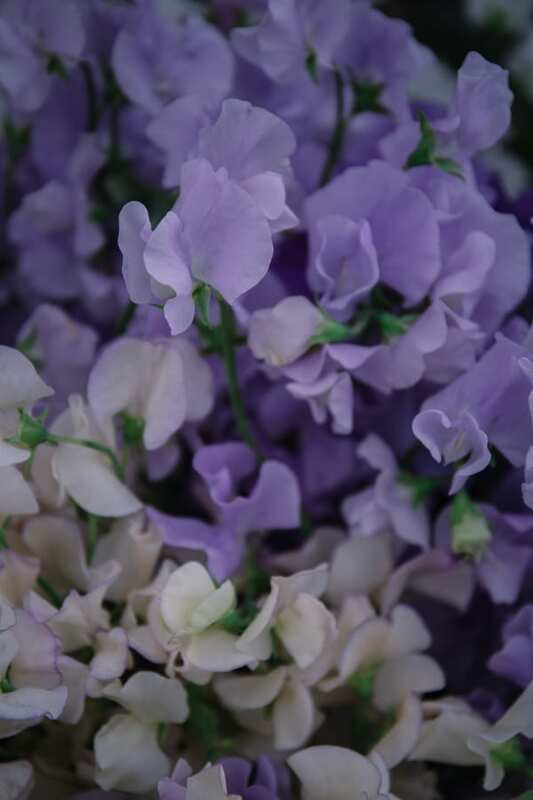 This flower below, grown by Gill, caused quite a stir on my Instagram account yesterday! 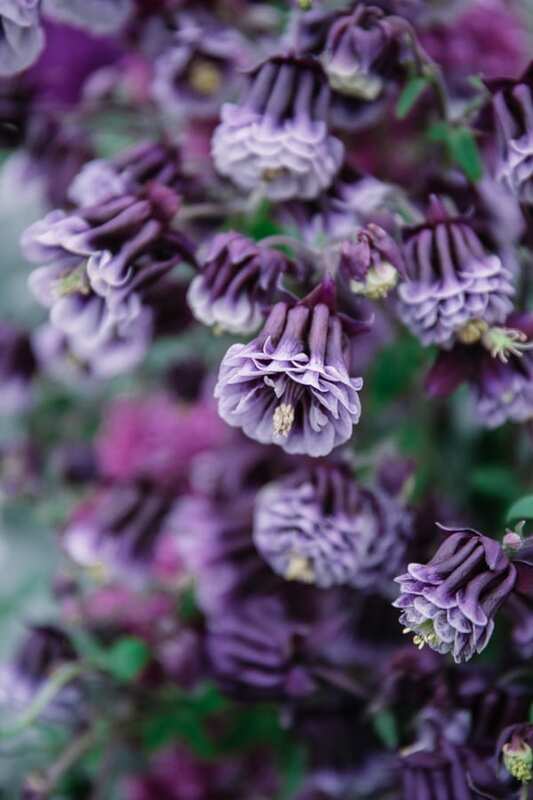 If you’re wondering, it’s called Aquilegia hybrida ‘Double Pleat Blackberry’. Below are three of the ladies behind this amazing exhibit. 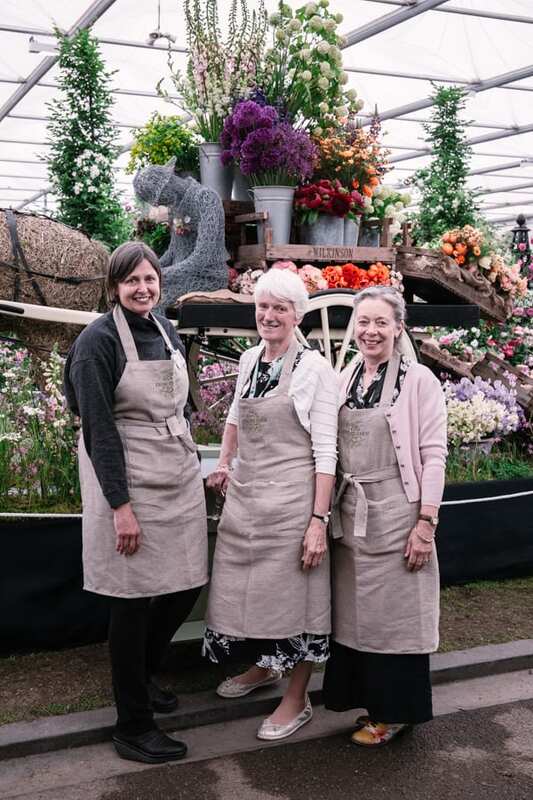 Left to right, Carole Patilla from Tuckshop Flowers, Gill Hodgson from Fieldhouse Flowers and Toria Britten from Flowers from the Plot. 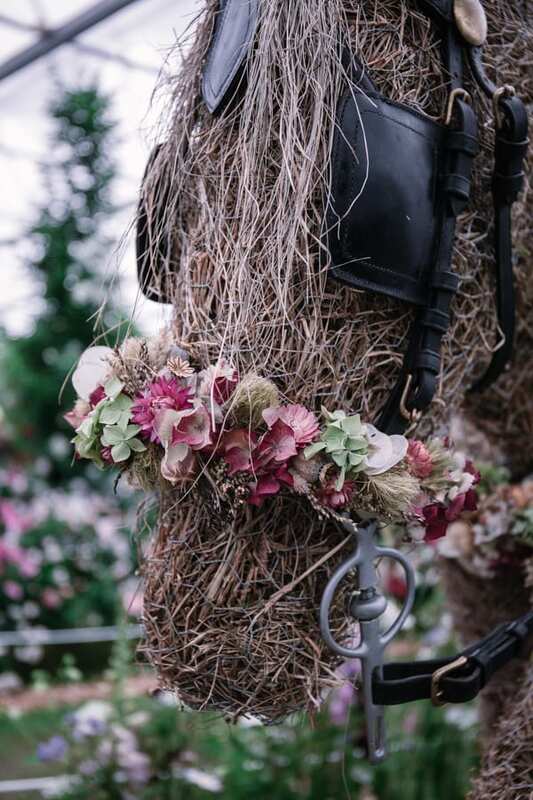 Flowers from the Farm are a not-for-profit organisation and they didn’t have a sponsor for the exhibit. So they’re auctioning off some of the props on Ebay in order to recoup their financial outlay. 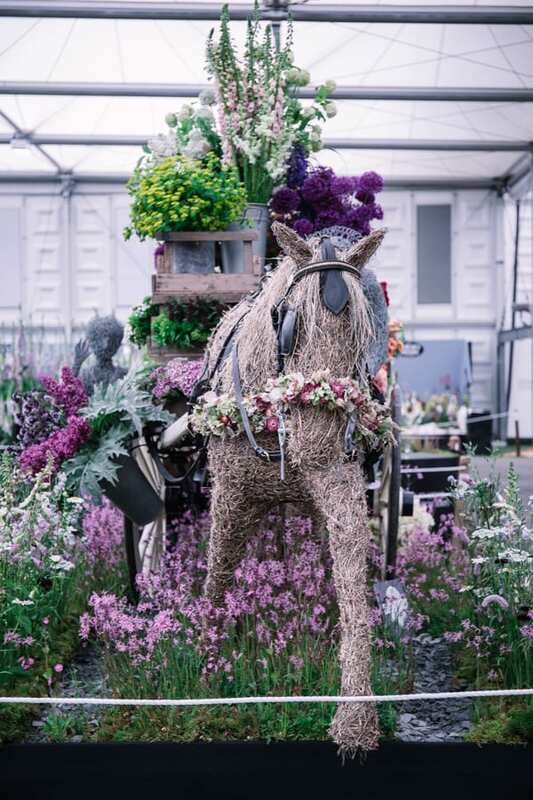 If you’d like to bid for one of the garden wire sculptures or the horse and cart display, simply click here. Be quick though as the auction closes this Saturday at 6pm. 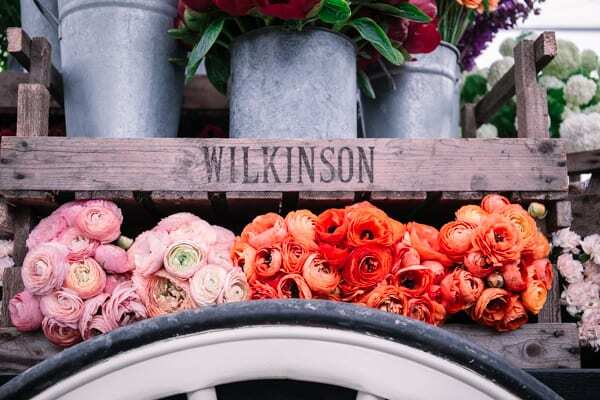 This thriving network was started in 2011 by the single original member, Gill Hodgson, a Yorkshire farmer, not only as a means for growers and florists to help and support each other, but also to collectively revive the seasonal, British cut flower industry. FFTF has now grown to a network of over 500 members. 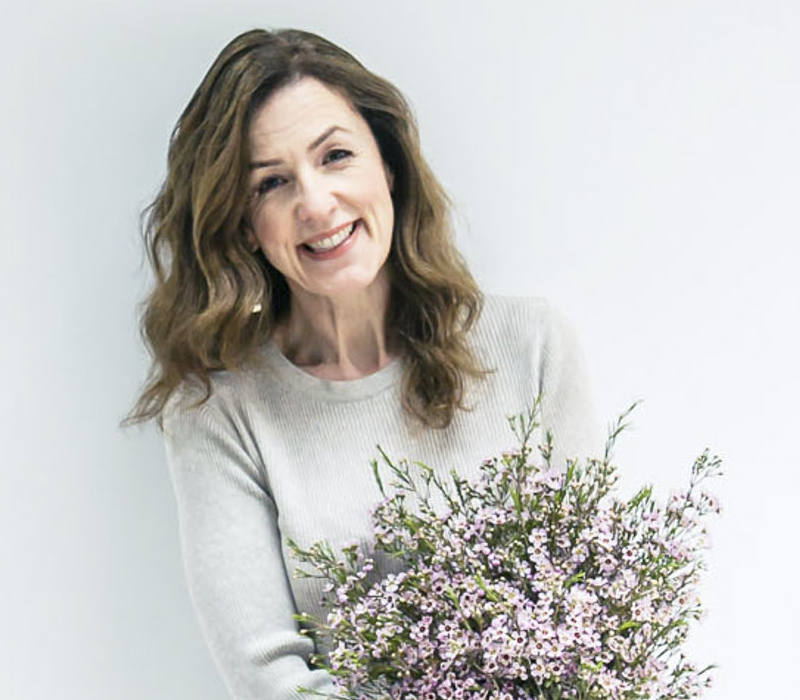 It campaigns tirelessly on behalf of British grown flowers and aims to get them back into more vases across the country, encouraging the public to buy fresh, local flowers with no air miles and a minimal carbon footprint. 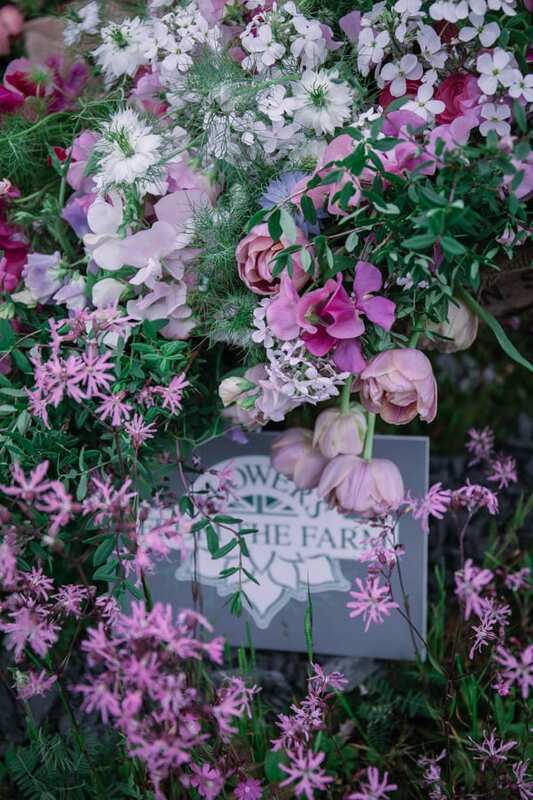 If you’d like to join this blossoming floral community, head to the Flowers from the Farm website for full details. 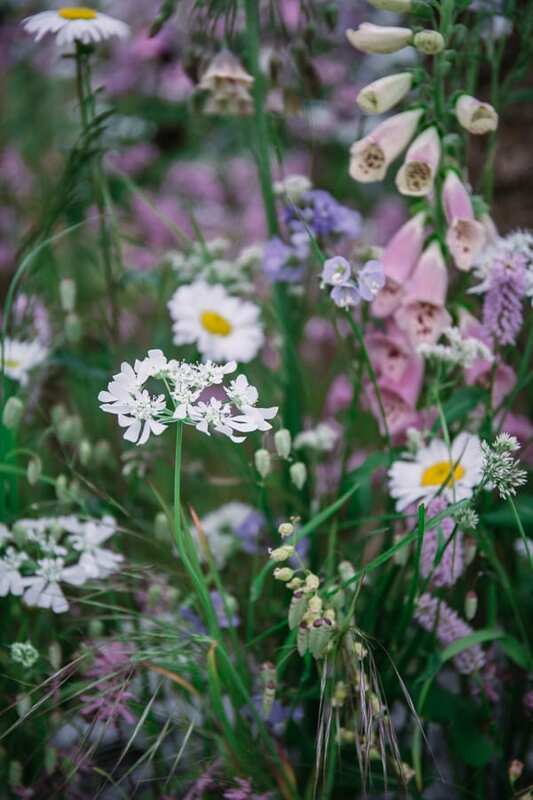 Wonderful blog post Rona and thank you for your support. 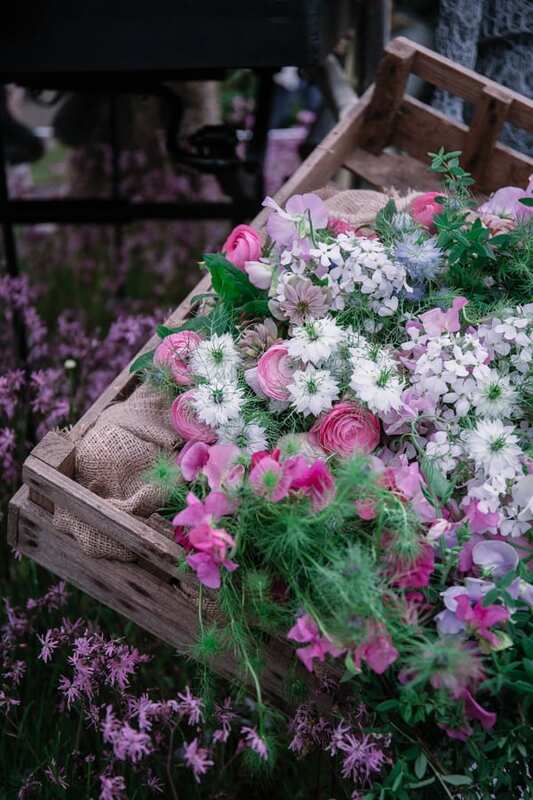 Flowers from the Farm have achieved something amazing here and we are all quite rightly, so proud! Thanks for your support and enthusiasm Rona – we all appreciate it! 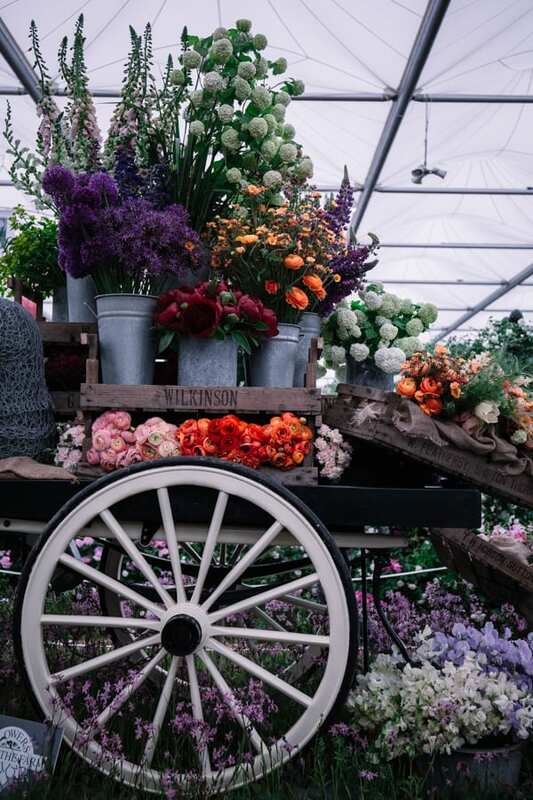 Thank you for your continued support for Flowers from the Farm in this very positive article about our Chelsea debut. 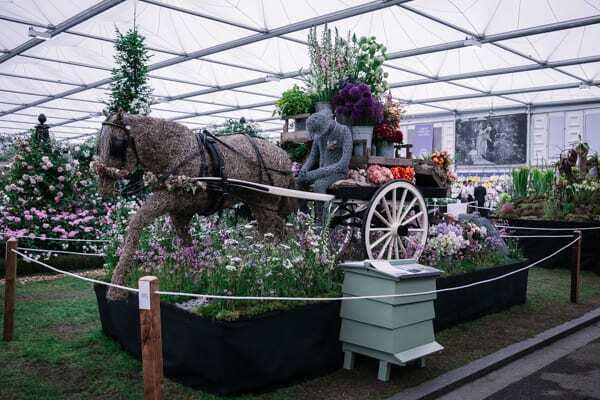 Watched the flower show on Tele in Cyprus and we think you display was fantastic and we loved it as it was a true reflection of what the show is all about. Nature at it’s best. Cindy, Vicky, Bob, and Dave. H.
Wonderful,wonderful. Congratulations to all concerned. My husband and I live at Whitchurch just outside Bristol. 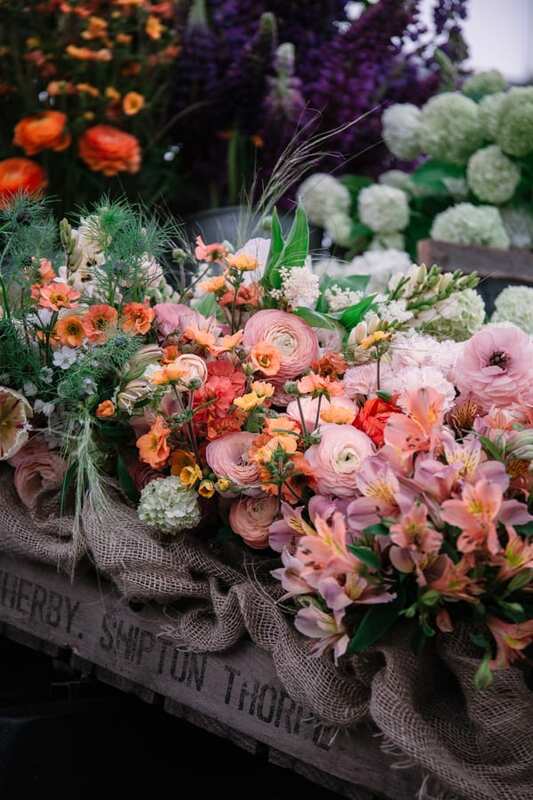 We have been married for 50 yrs and my husband in recent yrs has bought me fresh flowers as soon as the previous bunch dies so I am very lucky. Could you tell us where there is one of your nurseries where perhaps we could come to visit please,or at least let us know where the nearest one is.Thankyou.